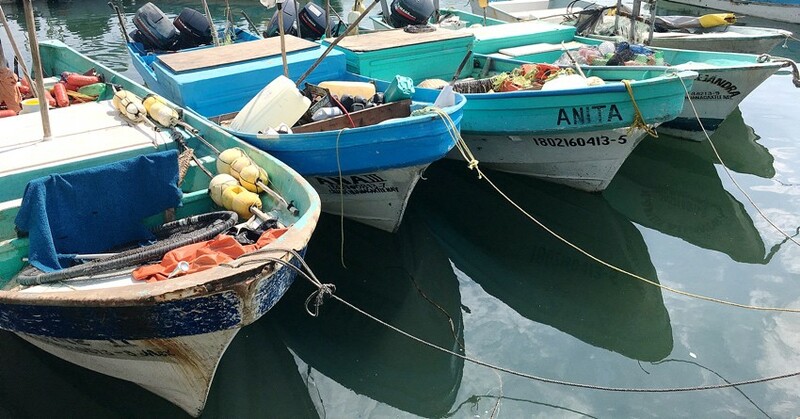 About a month ago, I met a woman named Rosey in the Mexican fishing village of La Cruz de Huanacaxtle where I am holed up trying to write. Rosey is her Mexican nickname, including the odd spelling. Rosey was walking at dusk to a public presentation by a British couple who had sailed the world more than a decade ago in a self-built catamaran made from wood, paper and tar. 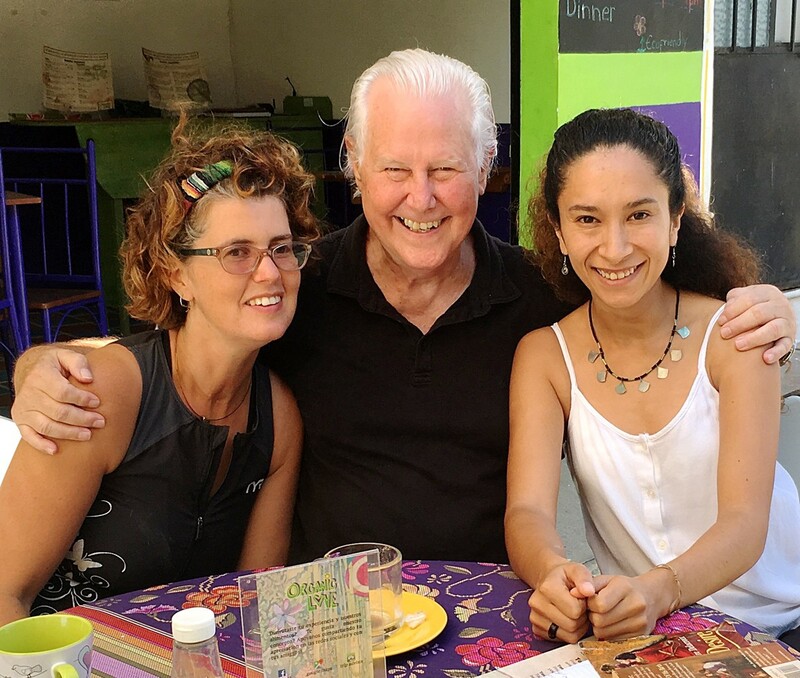 They came to La Cruz to study indigenous Huichol culture and stayed. This night, they were sharing a documentary about their experiences with a sizable audience and showing how their boat was constructed. Rosey was stumbling and nearly falling from the high curbs, designed for rainy season in La Cruz, at each corner. I crossed the street and quietly rushed to catch up with her, then asked if I could help. She said yes, I could take her arm and walk with her. I accompanied her to the presentation and we became friends. She recently shared her story with our mutual friend Alef and me over coffee at Organic Love, a wonderful restaurant started by Alef. At age 17, Rosey was in a solo car accident in rural Vermont that left her in a coma. The doctors told her mother she would not live, but after two agonizing months, she regained consciousness. Her mother’s joy was tempered by the realization that Rosey’s body was almost completely paralyzed. She could not talk or move anything other than her index finger to indicate bathroom needs to her mother. She did not remember the accident. No one knew exactly what had happened. The only thing Rosey remembered upon regaining consciousness was a dream she had while still in a coma. 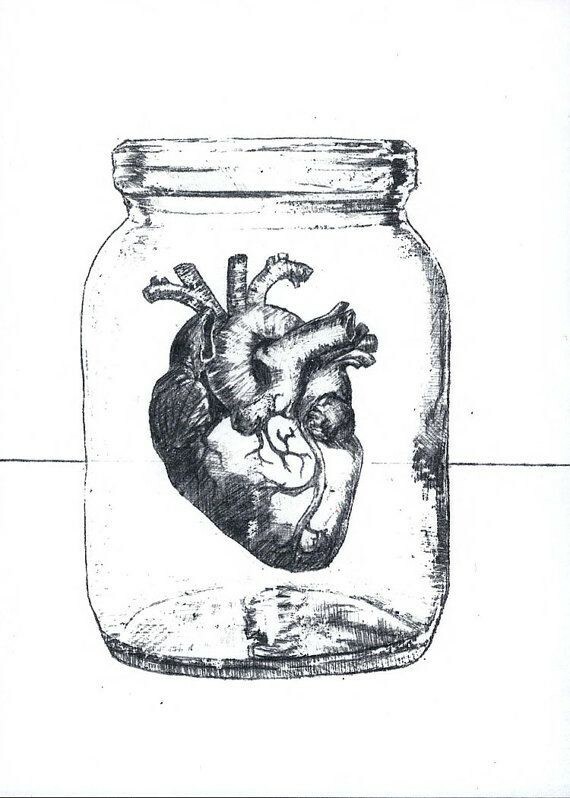 In this dream, Rosey saw her heart beating inside a Mason jar. Even in coma, she knew this was a message telling her that she would live, but she could not talk to share the remarkable story with anyone. Rehab was slow and lengthy. For the first few years, even rudimentary body movements had to be relearned. Speech was an enormous challenge. Today, Rosey can walk and talk reasonably well, but she limps, has trouble with balance and talks slowly, sometimes with unusual but endearing facial expressions that have become part of her visual vocabulary. Several years into rehab, a family friend suggested over dinner that Rosey and her mother, a kind of new age therapist before it became mainstream, should visit a Huichol shaman in Mexico to speed her recovery. The Huichol shaman in the Sierra Madre mountains outside La Cruz did not speak English and did not know Rosey’s name nor her story. He felt her energy and moved his hands around her head and body. When the shaman told Rosey about Kauyumari, she immediately remembered that she had rolled her car that night on a remote country road in Vermont while swerving to avoid hitting a deer. She has been in México with her mother since this encounter with the shaman nearly 20 years ago. Rosey was born in California and grew up in New York and Vermont. Her memory has come rushing back the past couple years, and she became very animated during our conversation sharing stories from her fascinating family history. She is using these stories to reconstruct the narrative of her life. Rosey tells me, for example, that her grandfather, who was born in Manhattan, was once a leading figure in the anarchist political movement in the US. He went to Southern California and founded one of the state’s first anarchist communes, which is the reason she was born on the West Coast instead of her mother’s native Vermont. She shared several wonderful anecdotes such as this, and I suggested that she should write a book, something she has already been thinking about. It takes a lot of energy and concentration, but Rosey is starting to feel up to the task. Perhaps you will see her soon at a book signing for her best-selling memoir. It will surely be a book that helps us find the beating pulse of our own anarchic hearts. Reimagining Politics is a non-profit, crowd-funded civic education initiative that offers opportunities to know and work with brilliant civic innovators worldwide who are changing the way we think and act politically.